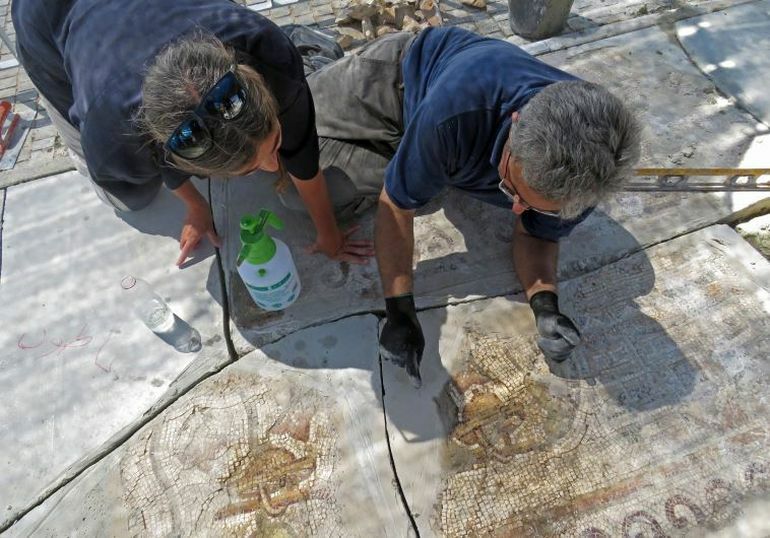 An amazingly-detailed mosaic, aged over 1500 years, was publicly showcased, for the first time today, at a festival in Israel. Discovered two years ago at the Kiryat Gat Industrial Park in the southern part of the country, the artifact depicts the map, of an ancient Egyptian city, complete with streets and buildings. 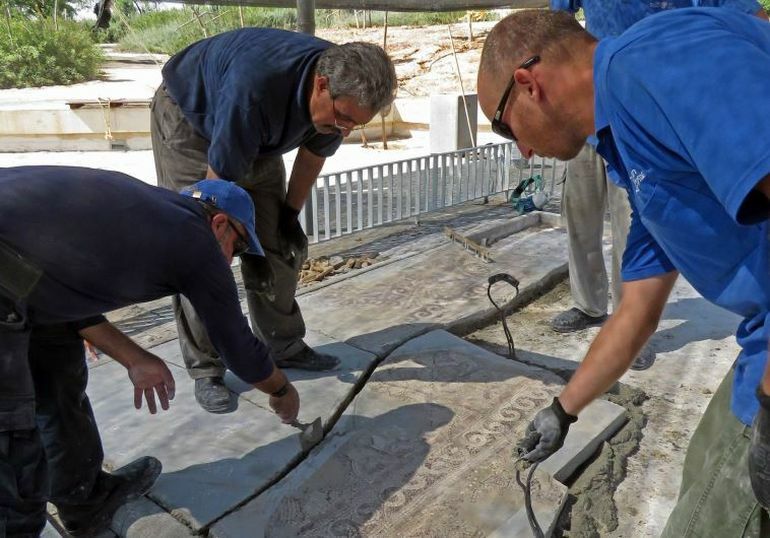 According to the archaeologists, such a discovery is quite rare, even in Israel, a nation known for its rich historical past. Measuring around 3.5 m (nearly 11.4 ft) along each side, this square slab was originally part of a church belonging to the Byzantine era. 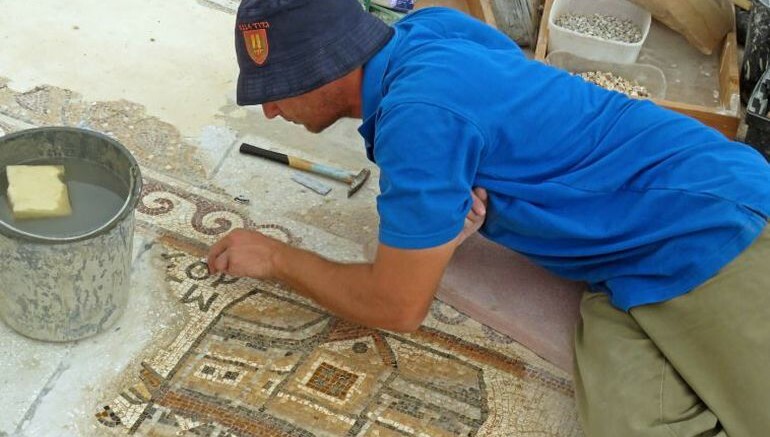 Even though the building did not survive, its mosaic flooring remained and was carefully excavated two years back, by the Israel Antiquities Authority with the help of local schoolchildren. Upon closer inspection, the archaeologists found that the artwork contains a map, of sorts, with buildings lined along a colonnaded city street. According to Christian tradition, the prophet Habakkuk was buried there. The appearance of this Egyptian city on the floor of the public building in Qiryat Gat might allude to the origin of the church’s congregation. The investment in the raw materials and their quality are the best ever discovered in Israel. 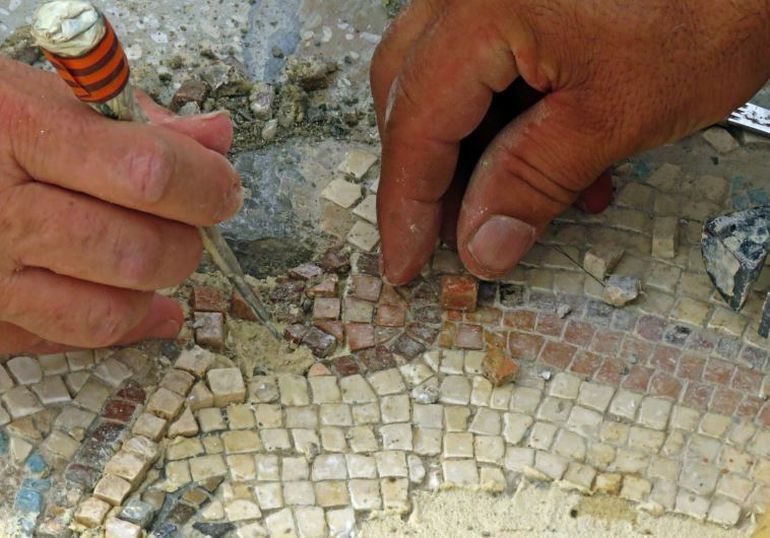 For the first time, since it was restored to its original location, the mosaic slab was revealed to the public during today’s “Factories from Within” festival.